A new Valve Steam Update (January 19) is now available with few new features. With the latest update, you can now easily move installed games. The update also added support for more controllers. Secondly, Steam now supports Xbox 360, Xbox One, and generic X-input controllers. Now users can use a wide variety of controllers with Steam games. The update added an additional support for third party PS4 controllers, including some Hori, MadCatz, and Armor pads and fight sticks. Finally, Steam also now has “improved” error messages when there are issues downloading a game or updating files. When in Big Picture mode, there’s now support for using the overlay keyboard with games that first open a launcher. You can check out the full update notes below. Account email and password wizards are now web based and offer usability and recovery improvements. 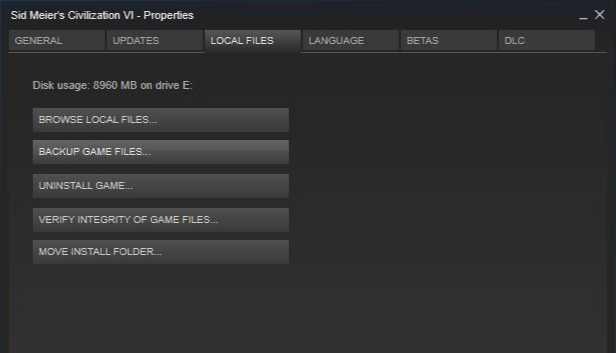 Game install folders can be moved to other Steam Library folders under Properties / Local Files. Improved download/update error messages when game files are locked by other programs. Improved error message when you fail to install a game and don’t have enough disk space due to user quotas. Added “Repair” option for Steam Library Folders to fix Windows user access rights. Support for including log files and crash dumps in system reports when submitting some types of help requests. Steam Update (January 19) fixed a client issue causing HITMAN™ to skip one-time setup on new computers. Fixed an issue that could cause the client to hang when the computer wakes from sleep mode. Steam Update (January 19) fixed incorrect colors in screenshots and In-Home Streaming for Vulkan applications on AMD hardware. Added support for using the overlay keyboard for games that have launchers. Improved display when running on retina enabled devices under OSX. Added XBox 360, Xbox One, and Generic X-Input controller configurator support. This allows all recognized controller types to use the advanced mapping features of the Steam Controller Configurator. Note that because X-Input currently lacks per-controller means of unique identification, all controllers of that type will share personalization and configuration settings. As they share the same inputs, Xbox 360/One/Generic controllers will all see each-others configurations when browsing. Automatic conversion will be attempted when loading configurations from other controller types. Unrecognized Generic X-Input gamepad style controllers will be recognized by the Steam Controller Configurator once their buttons have been assigned to match a generic gamepad layout. Recommended configurations specified for a game by the developer will now attempt to assign based on Controller Type. Added option to disable Guide Button issuing a Steam focus change. This is available through the Big Picture controller options menu. This allows better interoperability with other applications which use the Guide Button, such as PSNow. Added Single Button simple button mode for trackpads. This allows a trackpad to be treated as a single giant button. Fix for free-floating On Screen Keyboard running very slowly if a game was open but did not have focus or was running windowed. Added independent horizontal/vertical scaling to joystick move and joystick mouse. Joystick Move mode no longer shows mouse sensitivity option unless mouse output is selected. Added additional support for third party PS4 controllers, including some Hori, MadCatz, and Armor pads and fight sticks. Fixed a bug with PS4 triggers where they were being scaled incorrectly, leading to maxing out of the value too soon. Added ability to change x-input controller order from the Controller Options menu – so in multi-controller setups of x-input games, the mapping of physical controller to x-input index can be swapped around. Note that this currently only applies to controllers that have opted into Steam Controller Configurator support. Steam Update fixed Configurator Switch Controller interface not showing controller icons. Re-enabled Gamepad outputs for desktop configurations for users of third party programs which hook into applications via the desktop configuration. Steam Update Added Open Big Picture controller action binding. Fixed a bug where Steam Chords wouldn’t work reliably when multiple controllers were connected and disconnected in a single session. Steam Update Fixed Guide Button not switching into Big Picture when Steam has focus but Guide Button Focus option has been disabled. Added overlay support for new Windows 10 Insider preview builds. Reduced energy usage when Steam is not the active application rights. Improved interactions between the Steam runtime and host distribution libraries, which should let Steam work out of the box with open-source graphics drivers on modern distributions. If using an older distribution or running into problems, use STEAM_RUNTIME_PREFER_HOST_LIBRARIES=0 to revert to previous behavior.